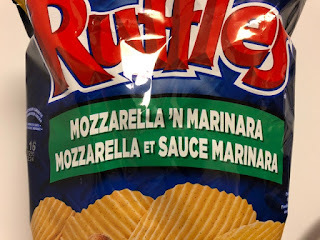 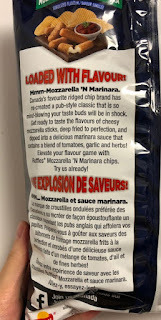 In Montreal, we found Ruffles Mozzarella 'N Marinara at Provigo. 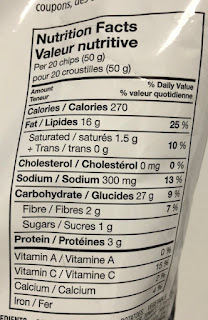 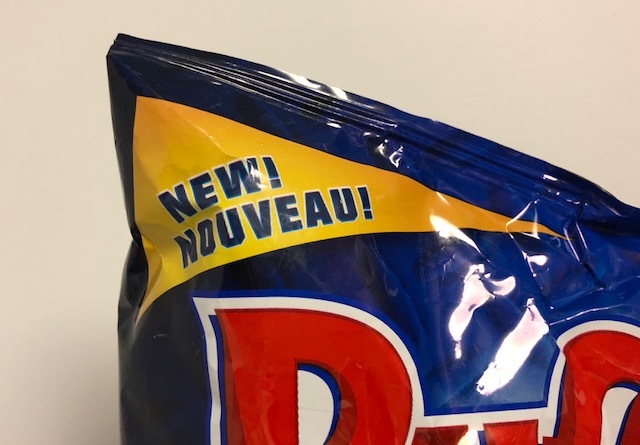 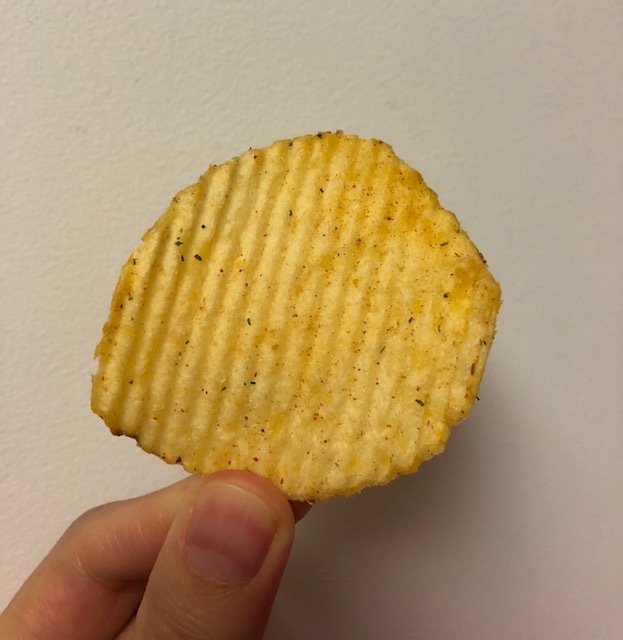 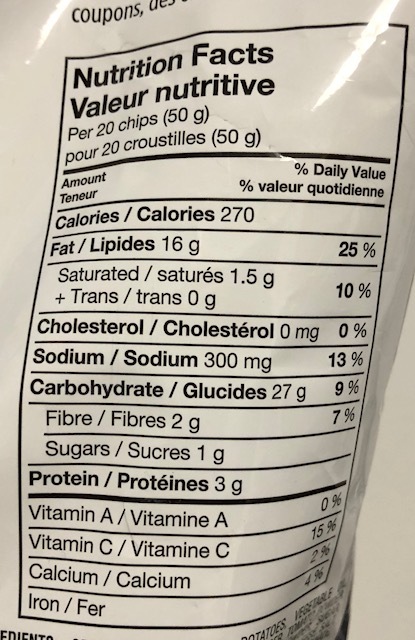 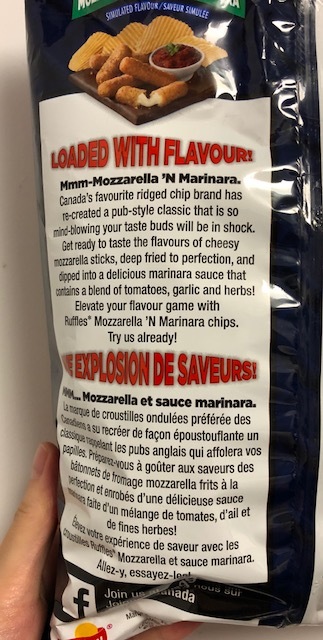 Canada's favourite ridged chip brand has re-created a pub-stye classic that is so mind-blowing your taste buds will be in shock. 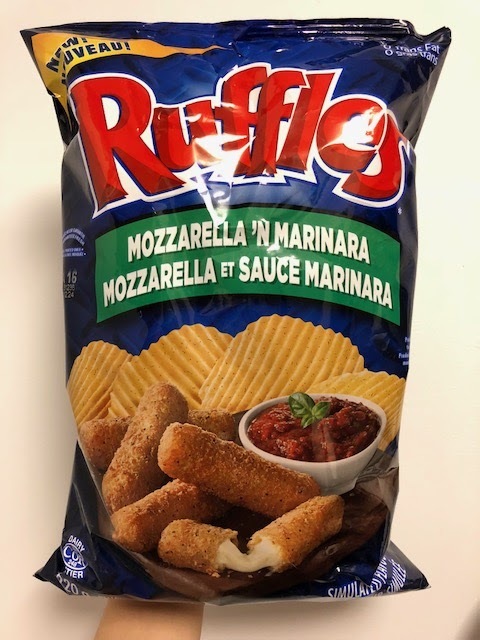 Get ready to taste the flavours of cheesy mozzarella sticks, deep fried to perfection, and dipped into a delicious marinara sauce that contains a blend of tomatoes, garlic and herbs! 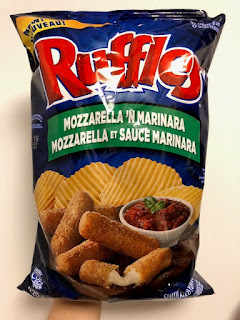 Elevate your flavour gave with Ruffles Mozzarella 'N Marinara chips. 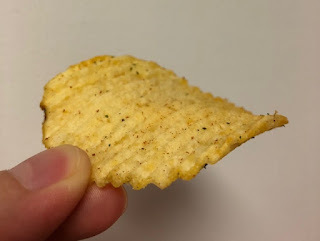 Reddish powder was on the chips. The chips had skinny waves. 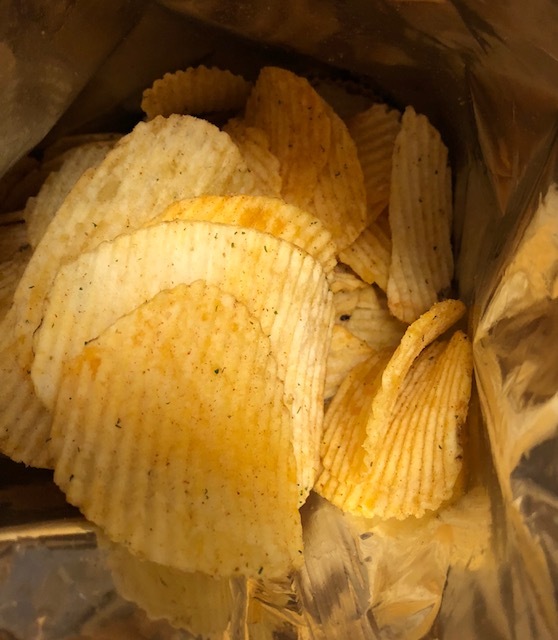 It had tomato scent, and when I ate it, I tasted garlic, parsley, tomato and some cheese, and the flavor reminded me of pizza flavored potato chips sold in Japan.